What if drugs and other therapies to treat diseased or scarred tissues could be repeatedly delivered directly to their targets without the need for multiple procedures? Now, an international team of researchers led by Harvard University have demonstrated a new, implantable device that can sit directly on the heart and deliver drugs on a continual basis to treat the aftereffects of a heart attack. This localized delivery system, shown to be effective in an in vivo pre-clinical study, could improve the efficiency of drugs, requiring lower doses, and reduce adverse side effects for therapies that are currently delivered systemically. Roche is currently an Assistant Professor at the Massachusetts Institute of Technology. She was co-advised by David Mooney, the Robert P. Pinkas Family Professor of Bioengineering at SEAS and Conor Walsh, the John L. Loeb Associate Professor of Engineering and Applied Sciences at SEAS. Mooney and Walsh are also Core Faculty Members of the Wyss Institute. Mooney, Walsh and Garry Duffy, of the National University of Ireland Galway & AMBER, the Science Foundation Ireland funded materials science center, are co-senior authors of the paper. The device, dubbed Therepi, looks like a small patch and can be sutured onto tissue, in this case, a heart. The patch contains a sponge-like biomaterial that holds and releases therapies through its permeable surface. The biomaterial can be connected to a port or pump via a tube when it needs to be refilled. The permeable surface, made of a porous polycarbonate membrane, can be tuned for different size molecules and interchanged for smaller or larger pore sizes depending on what is being delivered and how quickly it should be released. 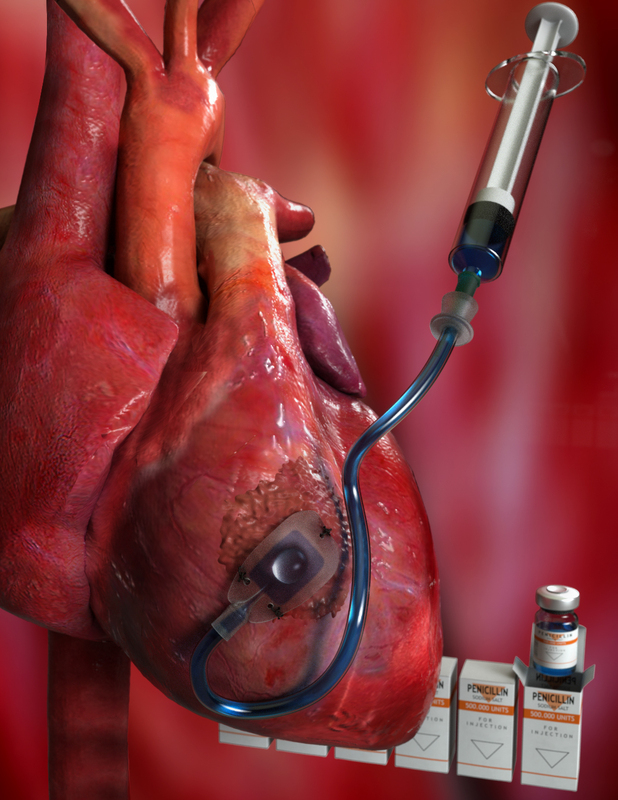 In in vivo experiments, the researchers used the device to deliver cardiac regenerative therapy. After a heart attack, residual scarring and tissue remodeling can occur and may ultimately lead to heart failure. Different therapies, including drugs, proteins and stem cells, could treat scarring but these treatments struggle to stay at their intended target, often require multiple doses, and could lead to toxic side effects. In a pre-clinical 28-day study, the researchers demonstrated that Therepi can increase heart function after injury for up to four weeks when stem cells are repeatedly delivered to the reservoir. The paper was co-authored by Keegan Mendez and James Weaver, of SEAS and Wyss, Claudia Varela and Shahrin Islam, of MIT, Hugh O’Neill, of the Royal College of Surgeons in Ireland, Fiona Weafer, Reyhaneh Neghabat Shirazi, and Peter E. McHugh, of the National University of Ireland Galway, Nikolay V. Vasilyev, of Boston Children’s Hospital and Bruce Murphy, of Trinity College in Dublin and AMBER. The research was supported in part by the Wyss Institute, Harvard Paulson School of Engineering and Applied Science, the Institute for Medical Engineering Science at the Massachusetts Institute of Technology and the Science Foundation Ireland. 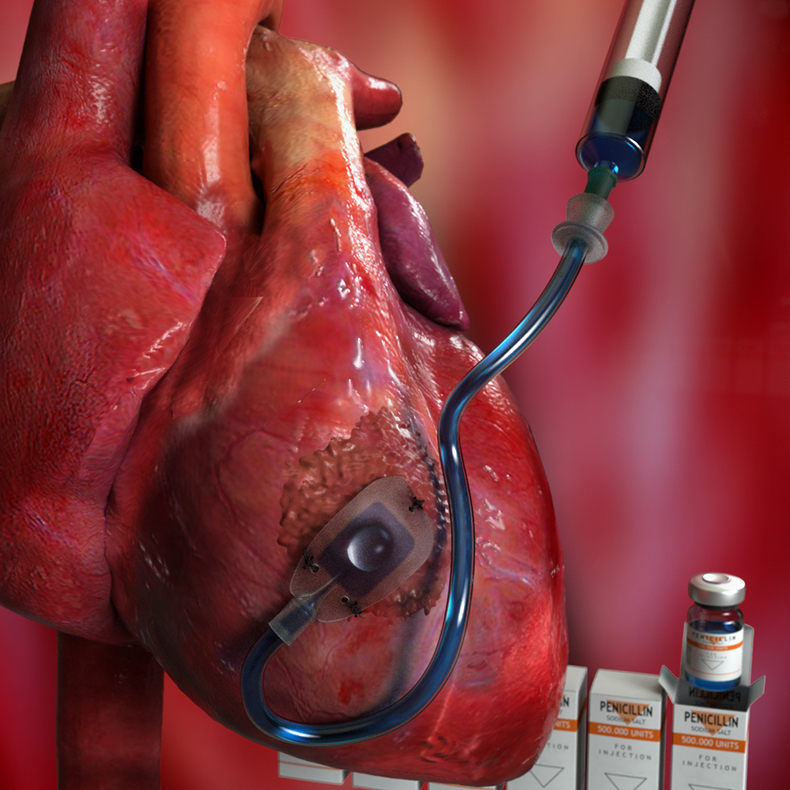 A refillable, implantable device, which sits directly on the heart, can deliver drugs and other therapies to treat the aftereffects of a heart attack.